This challah cover is part of the Ronit Gur designer collection. 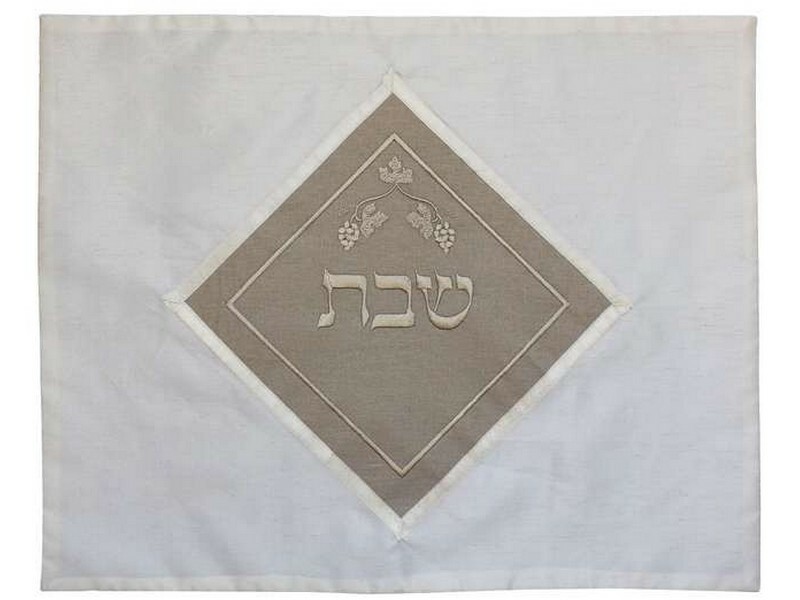 The challah cover has the Hebrew word “Shabbat”, embroidered in a darker shaded diamond shape material, on an all-white background. The challah cover is made from polyester material that is constructed to have the same look and feel as that of high quality silk.